Try the Freddie The Firefly Highchair Toy for free! 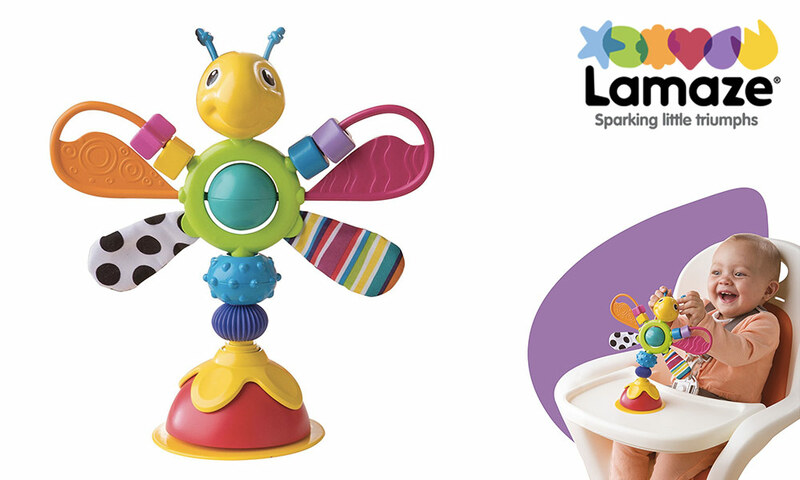 Try for free the Freddie The Firefly Highchair Toy from Lamaze! Keep baby entertained at meal times with the Freddie the Firefly Highchair Toy! Freddie helps to pass the time and makes sure your little one looks forward to every meal time. The toy attaches to table tops or high chairs, thanks to its clever suction cup. Each colourful segment spins around a flexible, bendy stem: spinning ball, knobbly rings, crinkle wings, plus chunky beads which slide around colourful wings that double as teething rings. 5 Freddie The Firefly Highchair Toy to try!